Kenneth Mathieson Dalglish MBE (born 4 March 1951) is a Scottish former player and manager. He played for Celtic and Liverpool, winning many honours with both. He is Scotland's most capped player of all time with 102 appearances, also Scotland's joint-leading goal scorer, with 30 goals. Dalglish won in 1983 both the ballon d'or Silver award & the PFA Player of the year and the FWA Footballer of the year in 1979 and 1983. In 2009 Four Four Two the football magazine named Dalglish as the greatest goal scorer in post-war British football, and in 2006 he topped a Liverpool fans' poll of "100 Players” He has been inducted into both the English and Scottish Halls of football fame. His years at Liverpool were among the club's most successful periods, as a player he won six Football League 1st Divisions, two FA Cups, four League Cups, seven FA Charity shields, (now called Community Shields) three European Cups(now Champions League) and one UEFA Super Cup. Dalglish became Player manager of Liverpool in 1985 after the resignation of Joe Fagan winning a further three First Divisions, two FA Cups and four FA Charity Shields, before resigning from Liverpool in 1991. Eight months later Dalglish made a return to football management with Blackburn Rovers, whom he took from the Second division in 1995 to win the Premier League. He stepped down as Blackburn manager to become Director of Football at the club, before leaving altogether in 1996. Newcastle Utd came calling and in January 1997 Dalglish took over as manager. Newcastle finished runners-up in both the Premier League and FA Cup during his first season. Dalglish went on to be appointed Football director at Celtic in 1999, and later manager, where he won the Scottish League cup departing the following year. 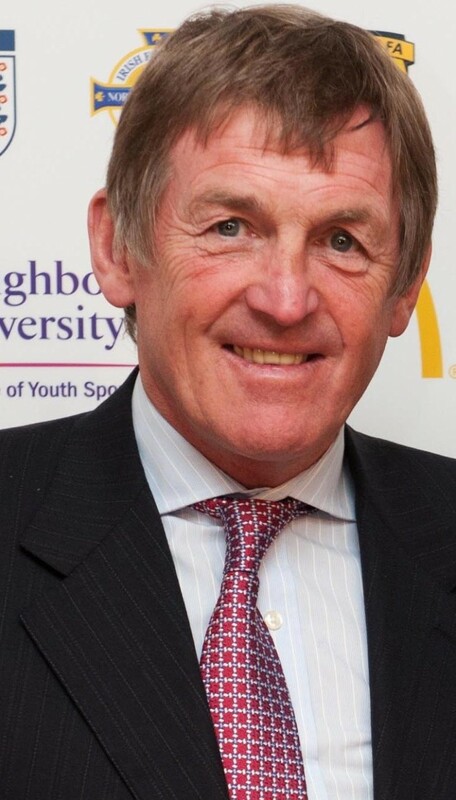 Between 2000 and 2010 Dalglish became the Scottish Ambassador for MacDonald’s and founded The Marina Dalglish Appeal with his wife to raise money for cancer care. In January 2011 Dalglish was appointed Liverpool's caretaker Manager after the dismissal of Roy Hodgson, May 2011 this became permanent. Under his guidance winning the League cup getting in the Europa League and reaching the final of the FA Cup, Dalglish left Liverpool in May 2012. In October 2013, Dalglish returned to Anfield as a non-executive director. He was awarded an MBE in the 2009 New Years Honours List for services to charity.